Want to beat the heat? 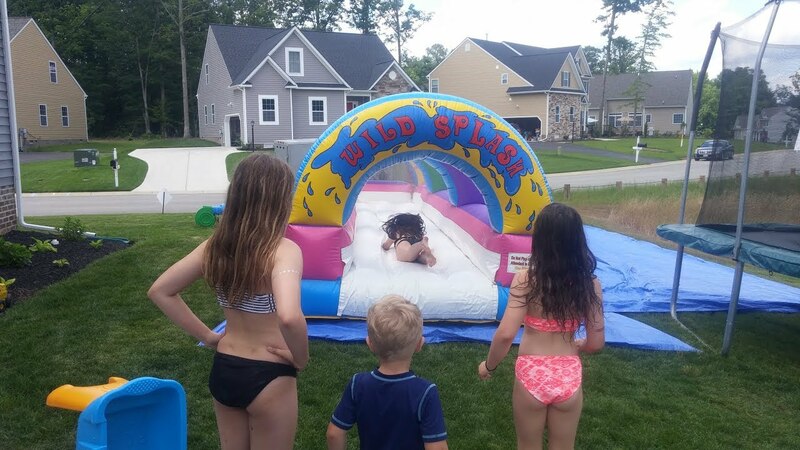 Take a ride on the Wild Splash Slip-N-Slide! 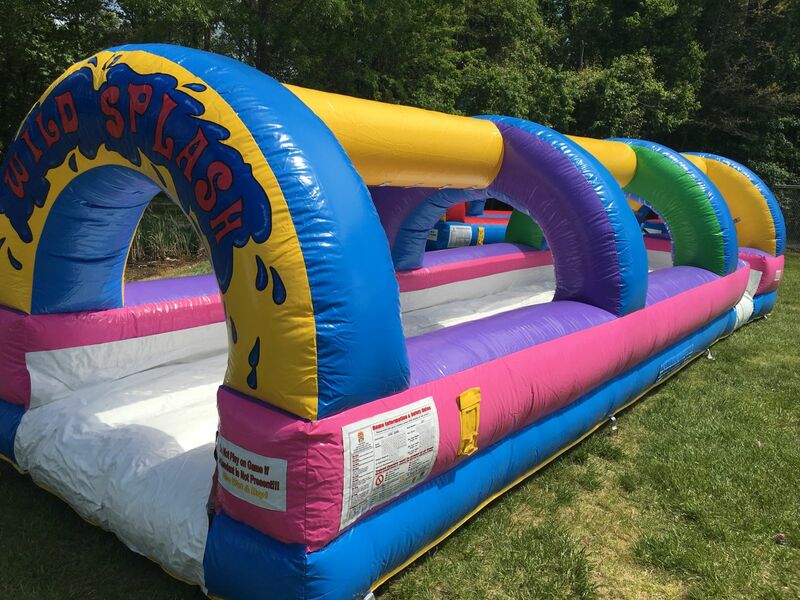 This huge inflatable slip n' slide will provide hours of fun at your next event. 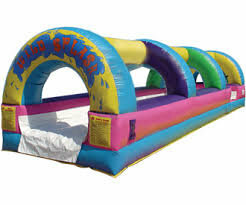 Run, jump and then slide your way down to the end of the lane. 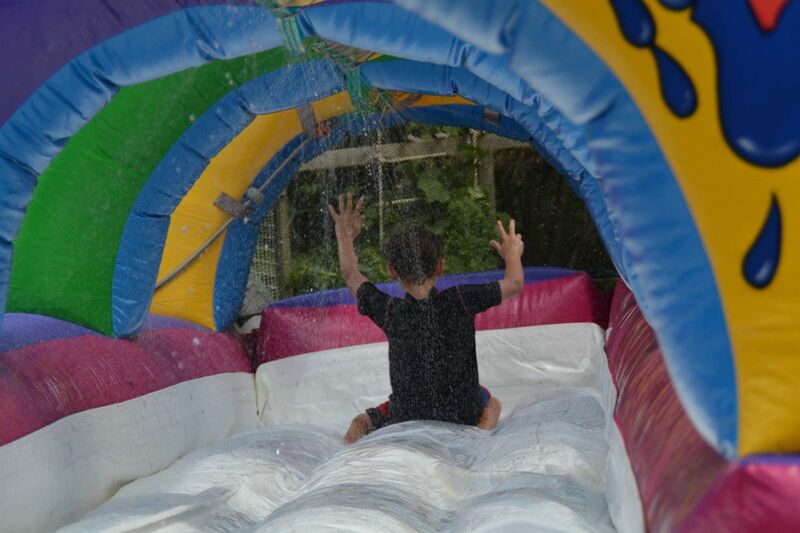 You will pass under the brightly colored arches, which hold the misting hose to keep the ride drenched with water. It's tough to find a better way to cool down on those hot dog days of summer!